The death occurred, peacefully, in the care of the staff at Laurel Lodge Nursing Home, Longford, on Thursday, February 7 of Martha Gunshinan (née Slevin), Drumlish Hill, Drumlish, Longford and formerly of Drumcunney, Mohill, Co Leitrim. Predeceased by her husband Tom, brothers Patrick, Bill, JohnJoe, sisters Nell, Teresa McNulty & Mary Pratt. Deeply regretted by her stepson Frank, sister Betty (Keenan), sisters-in-law, nieces, nephews, relatives and friends. May she Rest In Peace. Reposing at her home from 5pm on Friday, February 8, until removal on Saturday evening, February 9 to arrive at St Mary's Church, Drumlish at 6.30pm. Funeral Mass at 11am on Sunday, February 10 followed by burial in Drumlish old Cemetery. The death occurred, in the loving care of the staff at Portiuncula Nursing Home, Multyfarnham, on Thursday, February 7 of James ‘Jim’ Shanley, Paddenstown, Ballynacargy, Mullingar, Co Westmeath. Sadly missed by all his relatives, neighbours and friends. Rest in Peace. Reposing at Portiuncula Nursing Home on Friday, February 8 from 5pm to 7pm with removal to St Matthew's Church, Emper, arriving at 8pm approximately. Funeral Mass on Saturday, February 9 at 11am. Burial afterwards in Milltown Cemetery. The death occurred, peacefully, after a long illness, bravely borne at Midlands Regional Hospital, Mullingar, surrounded by his loving family, on Thursday, February 7 of Noel O'Neill, Bellaney, Castlepollard, Westmeath. Predeceased by his parents, brothers Pat and Aidan, sisters Teresa and Jacinta. Survived by his loving wife Rita, daughters Sinead, Niamh, Aisling, Cariosa and Clodagh, sons in-law Tommy, Alan, Christy, Darren and Derek, his adoring grandchildren, brothers, sisters, nephews, nieces, relatives and a wide circle of friends. May he Rest In Peace. Reposing at his residence on Friday, February 8 from 4pm and on Saturday, February 9 from 4pm. Removal on Sunday, February 10 to St Mary’s Church, Collinstown for 2pm funeral mass and burial afterwards to adjoining Cemetery. House strictly private Sunday morning please. The family would like to thank Dr Pat Cullen, Coole, Dr Mark Sheehy and all the nurses and staff from Midlands Regional Hospital for their constant care and attention. Family flowers only please. Donations to MRI Scanner Mullingar if desired. The death occurred, peacefully, in the loving care of her family and the staff at College View Nursing Home, Cavan, on Thursday, February 7 of Alice O'Reilly (née Leathem), Breandrum, Kilmore Lower, Cavan and formerly Breaghmore, Carrigallen, Co Leitrim. Sister of the late Mary McElroy, USA, John and Rose. Beloved wife of the late Charlie O’Reilly and devoted mother of Catriona, Patricia and Pauric. Sadly missed by her loving family, daughter-in-law Elaine, Catriona’s partner Charlie O’Donoghue and their daughter Cass, sisters Susan O’Connor, Wicklow, Kathleen McKenna, USA, Phyllis, Holloway, UK and Bridget, Kildare, brothers Pat USA, Gerry .K, Seamus, Killyvalley, Gene USA, Aidan Australia, sisters-in-law Sr Magdalene, Kathleen, Fran and Nancy Browne, USA, nephews, nieces, cousins all her relatives and many friends. May she rest in peace. Reposing at the McMahon Funeral Home, Farnham Road, Cavan on Friday evening, February 8 from 5pm concluding at 8pm. Funeral Mass on Saturday, February 9 at 12 noon in St Mary’s Church, Carrigallen followed by burial in adjoining cemetery. No flowers please, donations in lieu would be appreciated to the Pulmonary Hypertension Unit, Mater Hospital, Dublin c/o McMahon Funeral Directors or via donation boxes. House strictly private please. The death occurred, peacefully, at Sunhill Nursing Home, Termonfeckin, Co Louth, on Thursday, February 7 of Catherine Philomena ‘Phyllis’ Reilly, Drumboy, Mohill, Leitrim. Predeceased by her brothers PJ and Bernard. Deeply regretted and sadly missed by her sisters Mary (London) and Patricia (Limerick), sister-in-law, brothers-in law, nieces, nephews and friends. Reposing at Glennon’s Funeral Home Longford on Friday, February 8 from 4pm to 6pm followed by removal to St Patrick’s Church, Mohill, arriving at 7pm. Funeral Mass on Saturday morning, February 9 at 11am, with burial afterwards in Mohill Cemetery. Ar dheis Dé go raibh a h-anam dílis. The death occurred, peacefully, in Cavan General Hospital, on Wednesday, February 6 of Margaret ‘Peggy’ Smith (née Fagan), Dungimmon, Mountnugent, Cavan and formerly of Ballinrink, Oldcastle. Predeceased by her husband Patsy. Deeply regretted by her loving son Eamon, daughters Mary, Helena, Kathleen, Patricia and Olivia, daughter-in-law, sons-in-law, brother Pat, sisters Eileen and Tessie, nieces, nephews, relatives and friends. May Peggy Rest in Peace. Reposing at Gibney’s Funeral Home on Friday, February 8 from 4pm to 6pm. Removal to St Brigid’s Church, Mountnugent arriving at 7pm. Funeral Mass on Saturday morning, February 9 at 11am with burial afterwards in Ballinacree cemetery. The death occurred, peacefully, in the loving care of the staff at Padre Pio Nursing Home, Churchtown, on Monday February 4 of Mary Raftery (nee Gallogly), Beechwood Park, Mallow, Cork and formerly of Ballinamore, Co Leitrim. Mary, beloved wife of the late Paddy and dear mother of John, Kevin, Brendan and Kieran. Sadly missed by her loving sons, brothers, sisters, daughters-in-law, grandchildren, nephews, nieces, extended family and friends. May she rest in peace. Requiem Mass on Friday, February 8 at 11.30am in St Mary's Church, Mallow. Funeral afterwards to St Gobnait's Cemetery. The death occurred, peacefully, in the loving care of the staff at Maple Court Nursing Home, Castlepollard, on Wednesday February 6 of Sheila Lord (nee Norton), Togher, Castletown, Finea, Co Westmeath. Predeceased by her beloved husband Joseph and her daughter Julia. Sadly missed by her loving daughters Mary, Jane and Cathy, sons Willie and Pat, sons-in-law, daughter-in-law, grandchildren, great-grandchildren, nieces, relatives and friends. May Sheila Rest in Peace. Reposing in Gibney’s Funeral Home, Oldcastle on Friday evening, February 8 from 7pm to 9pm. Funeral Mass on Saturday, February 9 at 2pm in St Michael’s Church, Castletown, Finea. Burial afterwards in Ballinacree Cemetery. House private please. 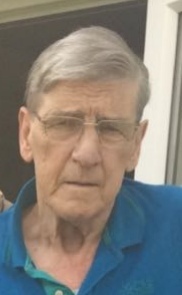 The death occurred on Wednesday, January 16, 2019 of Tom (Moss) Farrell, Kingsbury, England and Bethlehem, Tubberclair, Glasson, Westmeath, peacefully. Deeply regretted by his loving wife Margaret, sisters Annie Jo (Kelly), Bridget (Armstrong), brothers Sonny, Kieran, and Oliver, nieces, nephews, sisters-in-law, brothers-in-law, relatives and friends. Rest in Peace. Removal this Saturday, February 9 in the Church of the Immaculate Conception, Tubberclair, at 6.30pm. Funeral Mass on Sunday, February 10 at 1pm followed by burial in adjoining cemetery.